The Industrial Reorganisation Corporation was created by a Labour Government in 1966 and dissolved by the incoming Conservative Government in 1971. It might have faded into oblivion had it not been for the controversy generated by its highly unusual constitution which gave control of public spending to private sector industrialists and bankers. The IRC used both its influence and its cash to direct or even to thwart market forces in the ‘national interest’. It was involved in the key industrial issues of the time, such as the mergers of GEC-AEI-English Electric and the formation of British Leyland. It defeated Rank in its bid to take over Cambridge Instruments, and stopped the Swedish SKF from buying the UK’s leading ball-bearing manufacturer. It also moved towards a development bank role, and its small executive team went on to play further leading roles in UK business. 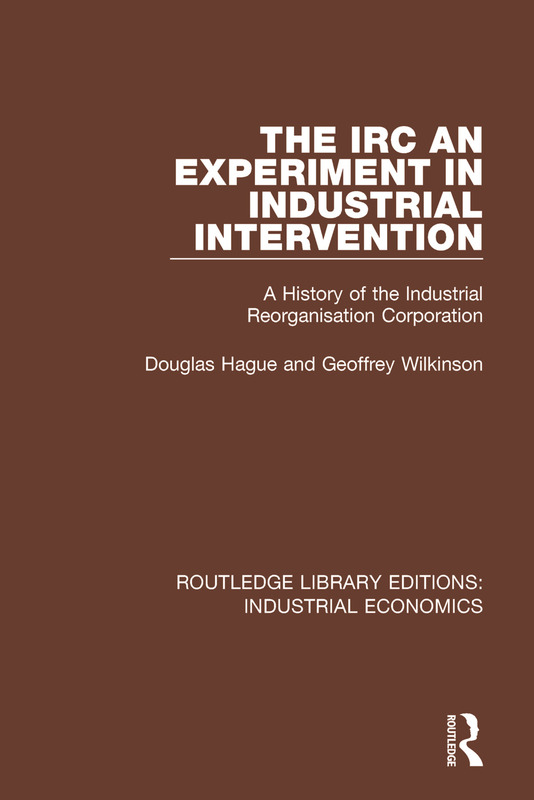 This book, first published in 1983, provides the first comprehensive analysis of the IRC.